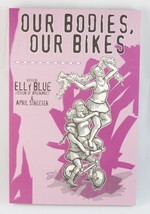 April Streeter writes and bikes from Portland, Oregon. Her career has included five years as correspondent for Sweden, Norway, and the Baltic nations for Windpower Monthly magazine, two years as managing editor for Sustainable Industries magazine, and many years as correspondent of Tomorrow magazine. She's also on twitter at https://twitter.com/womenonwheels.